In celebration of this year’s Met Gala theme, legendary fashion moments courtesy of actual saints. Get the look. Hairshirt image via grammarpartyblog.com, thorn crown image via catholicsay.com, human hair image via dreamstime.com, cilice image via commons.wikipedia.org, alpargatas image via bildindex.de, nails image via amazon.com. Tonight is the Metropolitan Museum of Art’s annual Met Gala, and this year’s glitzy theme is Heavenly Bodies: Fashion and the Catholic Imagination. As seen in our flashback to the event's 2008 red carpet, it’s likely that many of the guests will arrive looking great, but showing a lack of Catholic imagination. Those who do arrive in celebration of this year’s holy theme might take a cue from Vatican City, draping themselves in ermine or wearing a massive fancy hat like rich people have for at least a thousand years. But anyone who really wants to get noticed should borrow a look from the saints. Since the early days of Christianity, saints have designed clothes and accessories meant to torture their bodies, a practice called mortification of the flesh. For them, the human body, with all its functions, needs, and cravings, was inherently sinful. Thus, causing it pain or humiliation was considered holy. If any A-listers are still looking for something to wear, or if any of our readers have got an itch to learn more about some of the earliest fashions to emerge from the Catholic Imagination, we've put together a saintly style-guide. Wear something off this list and you might stay in God’s good graces. What is it: This accessory was worn by a lot of saints as an homage to the crown of thorns Jesus wore during his crucifixion, and it doubled as a way to punish themselves as penance for their sins. There’s plenty of room for personalization. 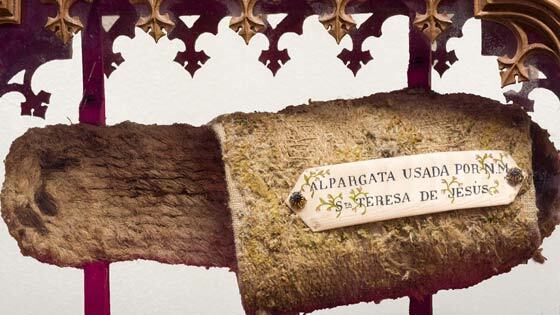 Various saints have used nails, pins, thorns and stinging nettles and crowns (and bracelets and belts). 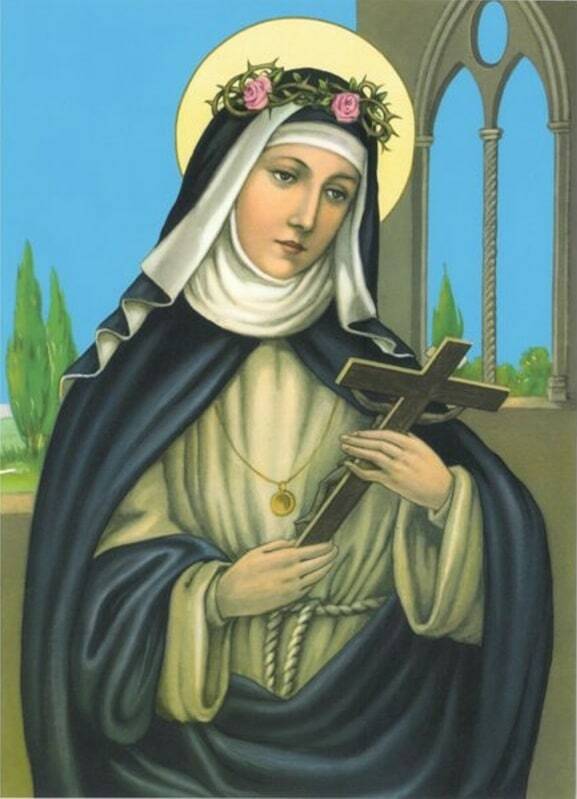 Who wore it best: St. Rose of Lima. As a girl her mother gave her a crown of flowers to wear so she affixed it to her head by pushing a pin into her scalp so deep it had to be surgically removed. She considered this adequate punishment for indulging her mother’s vanity. doesn’t want her flower crown to budge on the dance floor, like Beyoncé. 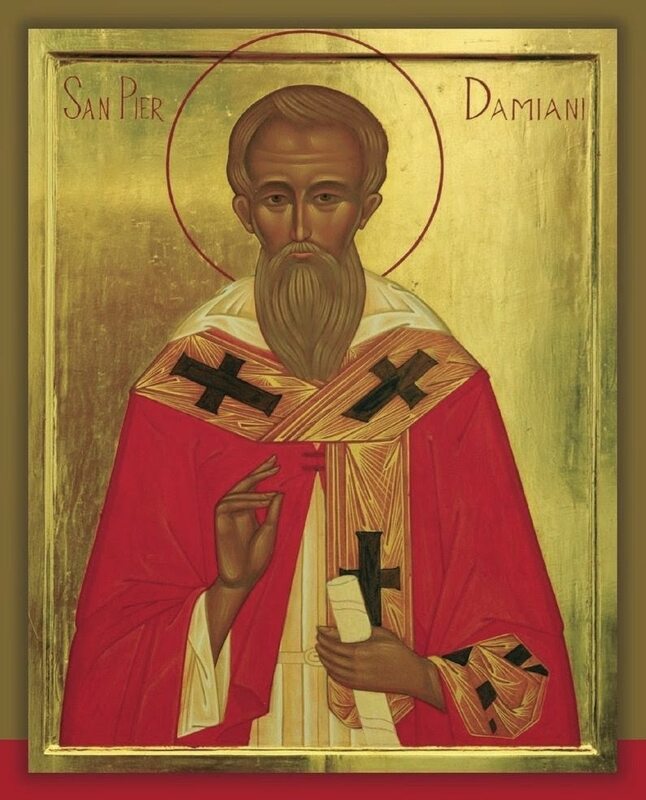 St. Peter Damian, presumably donning a hidden hairshort and/or cilice. Image via pagandiocese.org. What it is: A hairshirt is an undershirt made of coarse animal hair or sack cloth that’s meant to itch and irritate your skin all day (until it sometimes becomes matted with blood). It’s also sometimes called a cilice. But a cilice also refers to a piece of chainmail that’s tied or buckled around the upper thigh. This metal garter belt has sharp prongs designed to dig into your leg with every move. Who wore it best: St. Peter Damian, who found the cilice a little too easy so he added tight iron bands that barely allowed him to move. He kept this practice a secret until the smell of his infections was impossible to ignore. Who should wear it this year: A hairshirt only works if being extra and looking uncomfortable is basically your brand. I’d recommend it for Sarah Jessica Parker. A thigh cilice calls for a serious gown-slit and a certain comfort with blood as an accessory, so it could be a real return to form for Angelina Jolie. 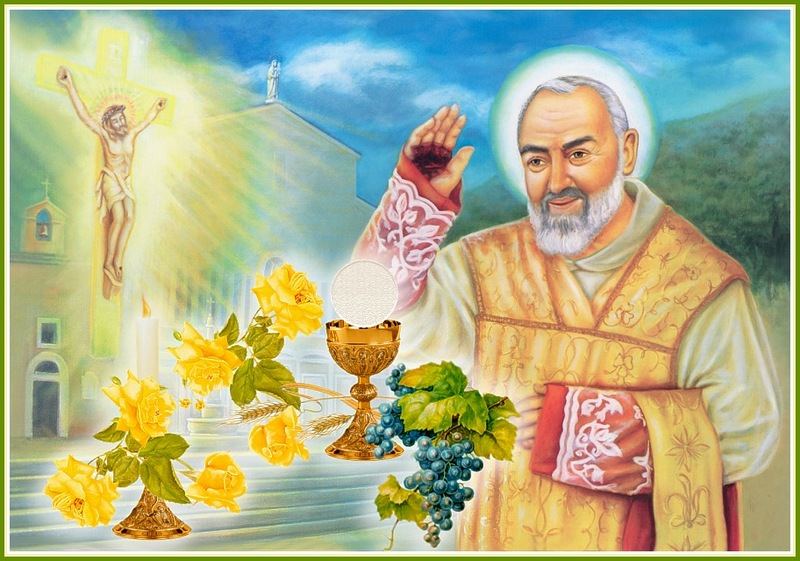 Padre Pio with his stigmata, as shown on his palm. Image via catholictradition.org. What is it: Sometimes the wounds Jesus received when he was crucified mysteriously appear on a person if they’re particularly holy. This might include nail holes in their wrists, hands or feet, maybe a gash on their side, or blood oozing down their forehead or back as if they’ve been wearing a crown of thorns or scourged. Who wore it best: Padre Pio. Of course some people, even other priests, think this flying, mind-reading, stigmatic saint from the 1960s might have faked his wounds with carbolic acid. But don’t act like you haven’t passed off some "Gucci” from Canal Street. Who should wear it this year: The real stigmata is so rare only Rihanna has a shot at getting it. What is it: Rough hemp sandals worn year-round by the Discalced Carmelite order. They used to always be handmade by the nuns and some of them still are. Who wore it best: St. Teresa of Ávila. When she reformed the Carmelite order, her first idea was to make the nuns to go barefoot, but then she decided that might be dangerously sensual. 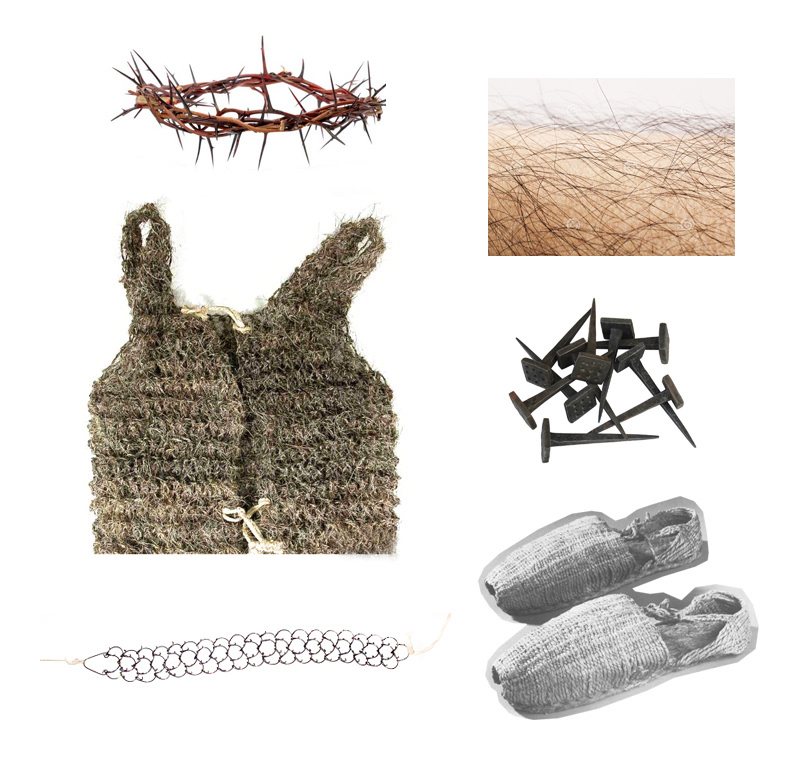 Who should wear it this year: Kanye West, who’s probably ready to sell us $800 YEEZY rope sandals anyway, although it might be worth it if he considers the Carmelite vow of silence. Mary Magdalene. Attavante degli Attavanti and workshop, Mary Magdalene in “Horae ad usum Ecclesiae Romanae”, ca. 1492. What it is: It’s just a lot of body hair. But sometimes God gives people hair when they literally have nothing to wear. When the virgin-martyr St. Agnes was stripped of her clothes before being executed, she miraculously grew long hair to preserve her modesty. 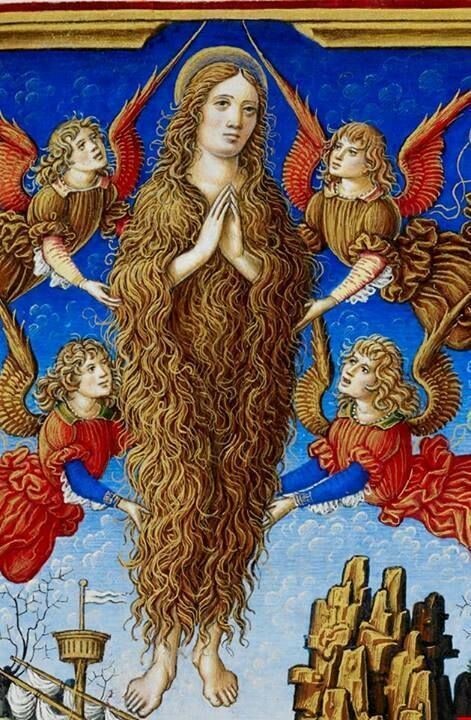 Who wore it best: The best hair-couture goes to Mary Magdalene. Legend says she spent the end of her life living a penitent life alone in a cave. When her clothes eventually disintegrated, her blond hair not only grew long enough to cover her, but also grew like thick fur all over her body. Who should wear it this year: He who shall not be named (and shall not be invited back) should keep growing out that Propecia-fueled blond patch he wraps around his head… and then go live a penitent life alone in a cave.